The long-term success of a business is often built upon a foundation of knowledge and quality performance across a company’s operations, financials, goals, differentiators, failures and achievements. In today’s job market, employees often jump to new opportunities to increase their lifetime earnings, leaving succession and the curation of this crucial knowledge at risk. As I mentioned in my previous article “Why Remapping Career Paths and Creating Meaningful Employee Journeys is Essential in 2019,” employee advancement is often realized by changing companies every 2 to 3 years. So, how do you close the knowledge and skills gap? The answer: managers at every level must master the art of succession. Those of us who assume leadership roles must take responsibility for empowering our teams so they continue to produce, innovate and sustain company culture. We want dedicated and competent employees to remain with the company during the good and bad times as these stalwarts are often the ones who find ways to increase business opportunities, optimize operations, and train the next generation of employees. As a manager, we must excel at enticing our employees to continue with the company, sharing their vast knowledge of markets and operations while also leading the next wave of new recruits to further the company’s success. Failure to address generational succession and employee retention will seriously impair a company’s overall success. Listen to employees – Giving monetary bonuses and raises is often not in the cards for companies, especially those that are newly formed businesses, whether small or large. By simply seeking feedback from employees and implementing their suggestions, a manager can significantly increase an employee’s investment in the company. 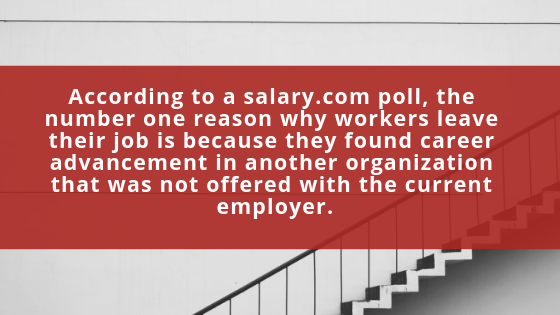 A company can only go so long without providing raises before employees look outward for an opportunity. Yet, the simple act of listening, genuinely listening to employees and acting on their input will help keep employees connected to a company and its mission. As an aside, employees often see the small missteps in daily operations that are costing time and resources. By listening to employees and implementing their suggestions, the company could end up saving tens of thousands to millions of dollars annually. Provide clear paths to promotions – Mapping a long-term career is near impossible these days as the linear career progression idealized during most of the 20th century is now relatively non-existent. The process of moving from entry-level employee to mid-level manager and ultimately to senior leadership just isn’t as simple as putting in your years. 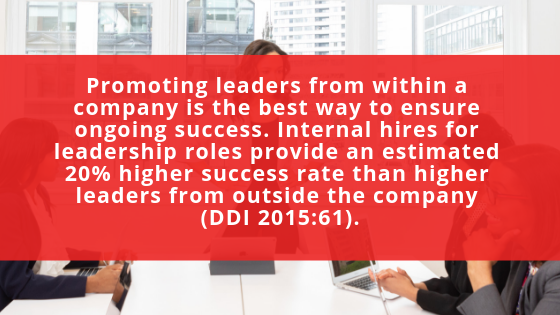 Driving innovation, collaborating between departments, negotiating between colleagues and finding new revenue sources are all part of helping an employee climb the proverbial success ladder. It’s hard to learn the complexities of this journey via college courses. Those managers tasked with administering leadership and development action are learning that investing time to show employees paths to further success, input and promotion increases employee retention and company success. They are also seeing that the knowledge loss commonly associated with routine fluctuations in employee tenures is decreasing as employees increase their time at one company. Highlight the successes of employees – especially when aiming to entice younger generations to commit long-term to a company, acknowledging employees for their successes is crucial for building morale. When pay increases are near impossible to guarantee, recognition is often an incredible motivator that drives employees to remain committed to the company and its continued success. For those long-tenured employees that routinely deliver success, do not grow complacent; give them their due as younger employees are watching how you treat their older workmates. Succession plans usually are a secondary or tertiary concern for managers with profits, production, operations or sales goals generally the primary focus. The retention strategies here, if enacted, provide an ever-present foundation that allows for ongoing succession preparations without requiring significant funds and time to the effort. Beyond retaining and developing employees in preparation for succession, what are key ingredients for a successive succession? Apple’s transition from Steve Jobs to Tim Cook, was based on a culture of identifying leaders, according to an article in Technology Advice. For Cook, a key element in successful successions is tied directly to the mindset that CEOs and other company leaders need to take responsibility for preparing as many people as possible for the role of CEO (Ang 2018). Given Apple’s continued success, they certainly made succession into an art form that shows the critical importance of making succession plans a priority and looking to internal talent to keep a company’s legacy moving forward. Article: Why is it Important to Have a Leadership Training Program? Neil O’Donnell is a nationally certified professional development and career coach (CPCC) with over 15 years of experience helping clients around the world in navigating their career journey.